It's SPRING TIME so it's LOBSTERFEST TIME! The Rotary Club of Lloydminster's huge fund raiser! Since 2010, the Club has donated over $602,000 to local community groups, student programs and international programs; THANKS to the support we receive from the community! 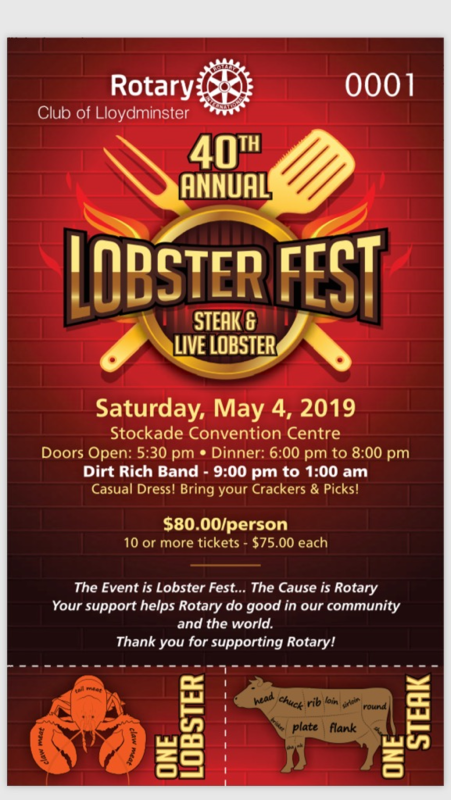 The event is Lobsterfest, but the CAUSE is ROTARY. Please support our programs and come out for an old fashioned spring fling.